Each catalog cycle the Registrar shall provide to each department a listing of courses that have not been offered for six (6) or more years (i.e., three catalog cycles). These courses will be flagged as inactive and the department will be notified of this status. Inactive courses will not appear in the subsequent Cal Poly catalog and will not be available for scheduling until reactivation. If an inactive course is so old that it does not have any learning objectives on file with the Registrar's office, a new course proposal and Senate approval will be required to reactivate the course. 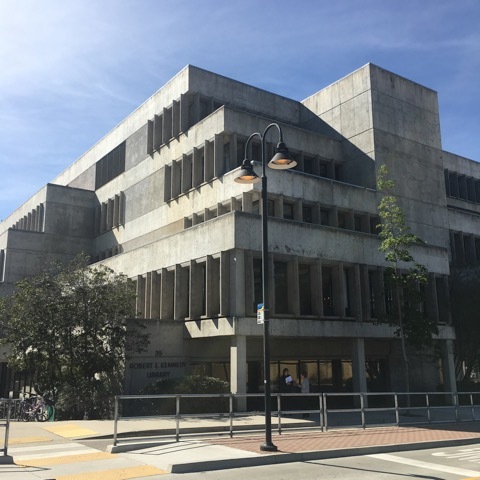 As class schedules are typically developed at least two quarters in advance, proposals should be submitted to the ASCC at least three regular academic quarters prior to the quarter the course is to be offered. A request to reactivate a course should be made by department heads/chairs to the Registrar no less than two quarters prior to the desired quarter to begin reoffering the course (e.g., to offer an inactive course in Spring, contact the Registrar in the Fall quarter). If a course has learning objectives on file with the Registrar, the course may be reactivated provided there are no active courses with learning objectives similar to the inactive course and the respective associate dean acknowledges that sufficient resources to support the course are available or will be provided. Requests to reactivate courses will be reviewed by the Registrar with concurrence from the ASCC. If the learning objectives of the course to be reactivated overlap with those of existing courses, or other problems emerge, it may require more than two quarters to determine if the course may be reactivated and, if appropriate, reactivate the course. Special problem courses (e.g., 200, 400), Special/Selected Topic shell courses (e.g., 270, 271,470, 471), and internship/coop courses (e.g. 485, 495, 585, 595), will be exempt from automatic inactivation.